Delvin Willis Kuhl was born on January 27, 1934 to Charles and Lucy (DeJager) Kuhl in Orange City, IA. He lived on several farms in Northwest IA from Middleburg to Alton. His family finally settled on a farm north of Slayton, MN. Delvin attended country schools in Iowa through 8th grade. Then he helped his dad on the farm and also his neighbors. He would often drive by someone’s home and say “I helped them with this when I was a child”. He was drafted into the Army in 1956 and was very proud to have plowed snow in Washington D.C. for the Pentagon. After the service he returned to Slayton, MN and worked for Rupp Construction. He would often tell us as we were driving down a road that he had helped build the road. His friends set him up on a blind date where he met Clare Ann Jacobsma. They were married on May 25, 1961. They settled on a farm five miles north of Hadley and raised five children, Curtis, LuAnn, Julie, Ruth and Nora. They were members of the First Reformed Church in Slayton, where he served as a Deacon. Delvin spent time with his children doing chores on the farm. He milked cows until 1981 and also sold McNess Feed and products. Delvin and Clare moved into Slayton in 1990. Delvin’s favorite past times were reading the Peach, going to auctions and looking at cars. Most of all he loved getting a “good deal”. Delvin would get the biggest smile on his face whenever he talked about his grandkids. They were the biggest joy of his life. He also enjoyed playing with his grand pets Bebe, Frankie and George Clooney. 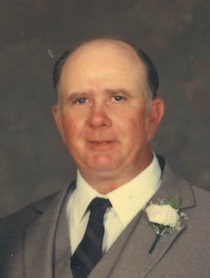 Delvin passed away at the age of 84 on Wednesday, April 25, 2018 at the VA Hospital in Sioux Falls, SD. Surviving are his wife, Clare, Slayton; children: Curtis and friend Shari Solma, Slayton, LuAnn and Don Berkhof, Sioux Falls, SD, Julie Kuhl, Charlottesville, VA, Ruth and Mark Bonnstetter, Slayton, Nora and Chris Dahlhoff, Hadley; five grandchildren: Nick and Kelly Dahlhoff, Anna and Alex Bonnstetter and Andrew Kuhl; Brothers Lou and Kathy Kuhl Worthington, MN, Pete and Carol Kuhl, Ontario, CA, and brother-in-law Curt Colson, Westminster, CO. He was preceded in death by his parents and sister, Mary Colson. Visitation will be held on Sunday, April 29 from 1:30 - 3:00 PM with the Memorial Service at 3:00 PM at the First Reformed Church in Slayton. Rev. Aaron Punt is officiating. Viola Hoekman is organist and Starla Anderson is soloist. Pallbearers are Nick Dahlhoff, Kelly Dahlhoff, Anna Bonnstetter, Alex Bonnstetter, Andrew Kuhl, Charles Kuhl and Jeff Kuhl. Military honors accorded by the Slayton American Legion Post #64. Interment will be at Slayton Memorial Gardens following the service.